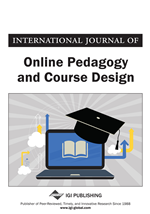 This research focuses on the evaluation of social interaction and support methods for computer-supported collaborative learning over the period of one semester. Specifically, there are three main topics for investigation: first, the subjective evaluation of social interaction and support methods, second, the students' perceptions of these over time, and third, the correlations between social interaction and support methods. Results indicate a specific pattern regarding important aspects of social interaction indicating possible problems in group dynamics (especially relating to taking responsibility). This evaluation pattern remains nearly constant over time. Furthermore, correlation analyses show strong connections between the design of group work and group dynamics, indicating a positive influence of support methods on problematic dimensions of social interaction. As this relation is strongest during the middle phase of collaboration, this study gives a first indication that also CSCL groups may go through the storming and norming stage of collaboration. These findings substantiate the necessity of providing support for computer-based learning. This research study focuses on three main aspects: (1) The learners’ subjective perception of their social interaction and support methods, (2) learner’s perceptions of these over a period of time, and (3) the correlations between social interaction and support methods. Computer-supported collaborative learning (CSCL) is currently implemented in different kinds of education because educators are convinced that such environments allow learners to learn more deeply and meaningfully (Kirschner & Erkens, 2013). CSCL research has also shown that virtual collaborative learning must be supported to provide effective learning in terms of knowledge construction (Pozzi & Persico, 2011). But even when supported, it is not guaranteed that learners who are placed in groups without knowing each other are able to engage in the relevant activities for learning (Lou, Abrami, & d’Apollonia, 2001), for achieving positive learning outcomes (Beers, 2005), or for solving tasks together. One key pre-condition for such positive effects lies in the learners’ ability to function as team (Kirschner & Erkens, 2013) which implies that learners know each other and specifically draw upon their varied knowledge, information and experiences (Moreland, 1999). Furthermore, “students need to trust each other, feel a sense of warmth and belonging, and feel close to each other before they will engage willfully in collaboration” (Kreijns, Kirschner, & Jochems, 2003). In ad-hoc learning groups, this is often not the case. Therefore, it is of interest to research how learners themselves perceive their learning group in terms of the relevant dimensions of social interaction. This is an issue which has not yet been the subject of investigation. As support is necessary for fostering the learning process as well as learners’ collaborative and individual performance (Kopp & Mandl, 2011a), it is also important to investigate how learners themselves evaluate these support methods. The specific question arises whether learners perceive the support methods as effective for fostering their social interaction and their ability to complete the task at hand. The next interesting aspect is the development of groups over a period of time. In CSCL research, the premise is that learners function as teams, e.g. “that they trust one another in the team to do what has been agreed upon, know one another’s weak and strong points and make use of them, share similar norms for working and goals of the teamwork, and so on.” (Kirschner & Erkens, 2013, p. 2). But developing as a team takes time and often there is neither time nor adequate conditions for teams to develop from an ad hoc group to a functioning team. Even though there is a new model for ad hoc learning-team development (Fransen, Weinberger, & Kirschner, 2013), there is no research that evaluates the changes in the development of social interaction. There have mainly been quantitative studies analyzing the learners’ contributions in order to gain further insights into cognitive group processes. Thus, this research also focuses on the development of the perception of social interaction and of support methods over a period of time. The third issue concerns the interrelationship between social interaction and support methods. To act as a team, it is necessary to plan and coordinate group activities, to keep to a schedule, to work jointly on the group goal, etc. In CSCL environments, support methods are implemented in order to foster such team-building processes and thus improve group dynamics. Various studies in the laboratory and in the field have focused specifically on whether there are differences between learners with support versus learners without support (Kopp & Mandl, 2011b). But research has not yet shown whether there are correlations between support methods and social interaction from the learner’s point of view. In the following three subsections, we describe the theoretical background of the three main purposes of the study in more detail.